Below are some frequently asked questions at Gaston College. You can also find additional information through our online 24/7 system, "ASK US," which can be accessed by visiting www.gaston.edu/ask-us/. Q: I need to pay my tuition and fees. A: The Business Office, located on the first floor of the Myers Center (Dallas Campus), is responsible for collecting all tuition and fees. The Business Office on the second floor of the Lincoln Campus main building and the second floor of the Harney Hall Building on the Kimbrell Campus also collects tuition and fees. You can also pay online through WebAdvisor. Q: I need financial aid or scholarships. A: Visit the Office of Financial Aid and Veterans Affairs located in the Myers Center (Dallas Campus), the Student Affairs Office on the second floor of the Lincoln Campus or the Student Affairs Office in KCC 116 on the Kimbrell Campus (hours vary). Students can also apply for financial aid at www.fafsa.gov. Q: I would like to apply for an on-campus (work-study) job. A: Visit the Office of Financial Aid and Veterans Affairs located in the Myers Center (Dallas Campus) for work-study job applications and job openings. Q: I need to pay a parking ticket. A: Parking tickets should be paid in the Business Office located in the Myers Center (Dallas Campus), or the Business Office located on the second floor of the Lincoln Campus main building and the second floor of the Harney Hall Building on the Kimbrell Campus. Q: I need to know what courses to take. A: Contact your academic advisor or divisional dean's office in your program of study. Most new students, pre-health science majors, and special credit students should see a counselor / advisor in the Counseling Center, located in the Myers Center (Dallas Campus), the counselor's office on the second floor of the Lincoln Campus main building, or the Student Affairs Office in KCC 116 on the Kimbrell Campus. Q: I need help with a personal problem or I need help in choosing a career. A: Visit the Counseling and Career Development Center located in the Myers Center (Dallas Campus), or the counselor's office on the second floor of the Lincoln Campus main building. All services are free and confidential. Students who need long-term or mental health counseling will be referred to community resources to be assisted more effectively. Q: I do not know my academic advisor. A: Contact the Office of Records and Registration, located in the Myers Center (Dallas Campus), the Counselor's Office on the second floor of the Lincoln Campus main building, or the Student Affairs Office in KCC 116 on the Kimbrell Campus. You may also view the name of your Advisor in WebAdvisor by clicking on My Profile. Q: I have a physical or learning disability and need special accommodations or assistance. A: Contact the Special Needs Counselor, located in the Counseling and Career Development Center, in the Myers Center (Dallas Campus), or call 704.922.6224. Q: I want to find out how to become involved in a club or organization or I want to start a new club. A: Contact the Coordinator of Student Activities located in the Myers Center, Room 214 (Dallas Campus) or call 704.922.6312. Q: I want to know the names of the Student Government Association, club officers or club advisors. Q: I don't know where my classes are located. A: Obtain a printed copy of your schedule through WebAdvisor or in the Office of Records and Registration located in the Myers Center (Dallas Campus), or the Student Affairs Offices of the Lincoln or Kimbrell Campuses. Campus maps are also available online and in all of the Student Affairs Offices. Q: I need a transcript of my grades sent to another college or to a business. A: Requests for official Gaston College transcripts may be made online at www.gaston.edu - click Student Resources - Records and Registration - Transcript Requests or in WebAdvisor. The Transcript Request Form can be completed in person, mailed to Student Records, or faxed to 704.922.2344 in order to process the request. There is a $7.00 fee for each official transcript. Payment may be made online or by calling the Business Office at 704.922.6414. Student copies of their College transcript may be obtained by accessing WebAdvisor. Information for obtaining an Adult high School (AHS) or GED®/High School Equivalency transcript can also be found on the Transcript Request page noted above. Q: I want to find out about appealing a grade. A: Contact your instructor or see the Final Grade Appeal Procedure in the Student Handbook. Q: I have questions about transferring to a 4-year college or university. A: The Transfer Advising Center offers a number of services to new and returning students enrolled in the Associate in Arts and Associate in Science programs. Students enrolled in these majors can seek assistance in career and educational planning, academic advising, and transition assistance to a student's four year school of choice. In addition, the Counseling Center can provide general information as well as dates of upcoming college and university on-site visits. Q: I want to find out about Credit by Examination. A: Contact the course instructor or contact the Office of Records and Registration located in the Myers Center (Dallas Campus), or the Student Affairs Offices on the Lincoln and Kimbrell Campuses. You can also read more about Credit by Examination in the Student Registration and Records section in this Handbook. Q: Can I take a Credit by Exam if I've taken a class before? A: If you earned a grade or were enrolled and did not drop prior to the first day of a class, you may not attempt Credit by Exam. This includes audits and withdrawals. Q: I want to drop, add, or withdraw from a course(s). A: Visit the Office of Records and Registration located in the Myers Center (Dallas Campus) or the Student Affairs Offices on the Lincoln and Kimbrell Campuses for the proper forms and further information. Q: I need to know the attendance policy. A: The attendance policy is up to each individual instructor. Check with your instructors for specific information on class attendance policies. Q: I missed a class, or I feel certain I will miss an upcoming class. A: Contact your instructor as soon as possible. Q: I need to locate my instructor outside of class. A: Your instructor has office hours posted on his/her office door. Also, most instructors provide their office phone number and e-mail address on their course syllabi. Further information about instructor's office locations and office phone numbers can be obtained from the Office of Records and Registration located in the Myers Center (Dallas Campus). This information is also available from the Dean's Office on the Lincoln Campus, or the Student Affairs Office on the Kimbrell Campus. Q: I want to find out about student ID cards. A: Visit the Student ID Services Office in the Comer Engineering Technology Building, room 116A (Dallas Campus), or the Lincoln Classroom Building, room 113 (Lincoln Campus), or the Kimbrell Classroom Building, room 116J (Kimbrell Campus). Q: I have lost or found an item. A: Lost items should be turned in to one of the Campus Police and Security Department offices located at the Comer Engineering Technology Building, room 122 (Dallas Campus), or Lincoln Classroom Building, room 113 (Lincoln Campus), or the Kimbrell Classroom Building, room 102 (Kimbrell Campus). To report or reclaim a lost item, contact Campus Police and Security at 704.922.6480 or visit one of their offices. Q: I need to use a computer. A: Computer labs are available on the Dallas, Lincoln & Kimbrell Campuses. Further information about labs and lab services can be obtained from the Office of Technology Services located in Room 11 of the Comer Engineering Technology Building (Dallas Campus), or visit www.gaston.edu/wp-content/uploads/2015/01/StudentLoginInfoBookletWeb_1214.pdf for a current list of labs and locations. Q: I need to use a computer on campus and I do not know my user ID. A: Each semester Technology Services automatically assigns user ID logins. If you are experiencing difficulty logging onto a campus computer, please see your instructor and they can assist you. If additional technical assistance is needed, Technology Services is located in Room 11 of the Comer Engineering Technology Building. Q: I need information from the campus library. A: Visit the Morris Library (Dallas Campus) for checkout and renewal of books, and access to audiovisual and electronic information. The Lincoln Campus library is located in room 204 on the second floor of the Lincoln Campus main building, and the Kimbrell Campus Library is located in room KCH 101 on the Kimbrell Campus. Q: I am having trouble with one or more of my classes or I need a tutor. A: Contact your instructor or the Learning Center located on the Dallas or Lincoln Campus. 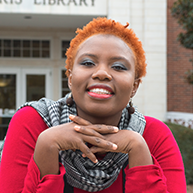 Contact the Dallas Campus Learning Center if you need tutor assistance on the Kimbrell Campus. Q: I need to use photocopy machines on campus & in the library. A: Students have the ability to use the Xerox Multi-Functional Color Print Devices (MFCP) copiers that are located in the halls of each classroom building, library, and the Myers Center. Copies can be made by entering your print management (Papercut) login and you can print to them by using the web printing feature. Q: I need to buy my textbooks. 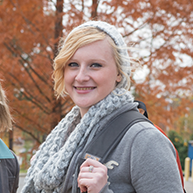 A: The Gaston College Bookstore has convenient locations on all three campuses. Dallas Campus Bookstore is located on the first floor of the Myers Center, Lincoln Campus Bookstore is located on the second floor adjacent to the Business Office, and Kimbrell Campus Bookstore is located on the lower level of Harney Hall. Q: I need a catalog, calendar, or Student Handbook. A: All catalogs, calendars, and Student Handbooks are available on the Gaston College website at www.gaston.edu or a copy can be obtained in any Student Affairs Office. Q: I want to find out about available food services. A: Vending machines are located in most buildings on all campuses to supply quick snack food and beverages. Expanded vending is available in the café area in the Myers Center. You may report any vending concerns to the Bookstore. 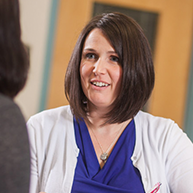 Q: I need additional information about classes or services offered at the Lincoln Campus. A: More information about the Lincoln Campus can be found in the Dean's Office on the second floor of the Lincoln Campus building or visit www.gaston.edu/lincolncampus/. Q: I need additional information about classes or services offered at the Kimbrell Campus. A: More information about the Kimbrell Campus can be found in Harney Hall at the reception desk, or the Student Affairs Office in KCC 116 on the Kimbrell Campus or visit - www.gaston.edu/locations-maps-directions/kimbrell-campus/. Pay your registration tuition and fees by the designated deadline! Meet with your academic advisor or department before registration begins. Register only for classes required for your major and also in which you meet the pre-requisites. Attend classes regularly. Communicate with your instructor (s) if you need to miss class. Know where to go if you have questions or need help (see the FAQ's for starters or visit "Ask Us" at www.gaston.edu/ask-us/). Attend orientation sessions for online and/or hybrid courses. Update your current address and phone number online in WebAdvisor or in the Office of Records and Registration. Take care of official College business (i.e., getting advised, getting registered, applying for financial aid, etc.) prior to deadlines. 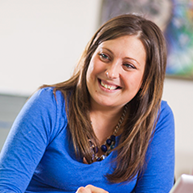 Solve transportation, child care, or work schedule issues prior to registering for classes. PLAN AHEAD! STUDY! READ YOUR MAIL AND EMAIL! ASK QUESTIONS! WE WANT YOU TO SUCCEED! The Developmental Education Department manages the Academic Related (ACA) courses and encourages all students in college programs to enroll in ACA courses during their first or second semesters in an effort to increase successful course completion, progress to graduation, and/or transfer to a four-year institution. ACA 122, College Transfer Success, is required for all students in the college transfer program. This course provides information and strategies necessary to develop clear academic and professional goals beyond the community college experience and to aid in the transfer to four-year institutions. ACA 111, College Student Success, is required for all students obtaining Associate of Applied Science degrees. This course introduces Gaston College's physical, academic, and social environment and promotes the personal development essential for success. Internet courses meet online, where students receive lessons, complete assignments, and communicate in a virtual classroom. Students must have regular access to a computer and the internet; have good computer skills; work independently; and be self-motivated. Internet courses have course content, a schedule for completing online assignments, and require a minimum of 2-4 hours of independent study per course credit hour. Generally students are NOT required to come to campus; however, some Internet courses may require proctored tests/presentations or labs to complete the course. Hybrid/Web-Assisted courses meet onsite and online, as designated on the course schedule. While these courses utilize some of the same technologies as Internet courses, students also attend some face-to-face sessions. Many of our traditional face-to-face courses will use Blackboard to supplement instruction. In addition, Gaston College provides a few courses between the three (3) campuses via the Two-way Interactive Audio/Video Network. Students meet in one (1) of the video classrooms and have class with students at the other campuses. The instructor is physically at one of the three campuses. Gaston College students residing outside the state of North Carolina who desire to resolve a grievance are encouraged to follow the College's Student Complaint Procedure . If an issue cannot be resolved internally, a complaint may be filed with the appropriate state agency for handling complaints or with Gaston College's accrediting agency. Please visit the Distance Education webpage at www.gaston.edu/online-learning/ for more information. The Family Educational Rights and Privacy Act (FERPA) requirements and guidelines apply and extend to distance education students. 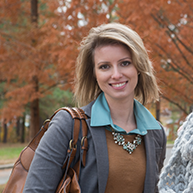 Gaston College ensures the integrity of its courses and programs offered through distance education by verifying the identity of students participating in classes and completing coursework. The primary method for verification is a required secure login and password to Blackboard. Students are advised to protect their username and password at all times. In addition to secure login credentials, some distance education classes may require proctored examinations. The College provides proctoring services free of charge at the Learning, Persistence & Completion Center (LPCC). The College does not charge students related to verification identity, though students are required to present a photo ID, i.e., driver's license or Gaston College ID (for which there is additional charge) at the LPCC. Students who are unable to take an exam at the LPCC may often use proctoring services at local libraries or colleges free of charge. For students who are unable to use any of the free-of-charge proctoring services, any proctoring charges incurred are the responsibility of the student. In Dallas, the Morris Library & Media Center is located on Library Lane adjacent to the Rauch Science & Fine Arts Building. Parking is available. The Morris Library is a spacious facility that offers a variety of library services for students. Collections include books, magazines and newspapers, videos, CDs, etc. Gaston Libraries are members of the CCLINC consortium. This consortium, composed of 51 of the 58 community colleges, shares a library system and provides students with access to the members' collections. There are 50 computer workstations located in the Morris Library. Computer users must abide by the College's Acceptable Use Policy. Internet access is provided. Wireless Internet is also available to students throughout the library. NCLIVE and other Web-based resources are available from the library homepage at www.gaston.edu/library. Library cards are issued at the circulation desk. Distance education resources are available through the library homepage and Blackboard. Library services include the following: checkout and renewal of materials, reference and research assistance, Internet access, interlibrary loan service, use of study and viewing areas, and remote access services. Distance learning classrooms, including the NCIH classroom, are located on the second floor of the Morris Library. Morris Library also includes the Morris Library Training Lab (Room 120) which houses the library's 3D printer and 3D scanner. The Kimbrell and Lincoln Campuses have services identical to those available at the Dallas Campus. For campus library hours please see the front of the handbook and the library website. Work-Based Learning (WBL) is an academic program that provides students an opportunity to gain actual job related experiences and earn college credit. Emphasis is placed on integrating classroom learning with related work experience. Additionally, WBLP offers a full range of services to assist students and graduates in preparing for and finding employment opportunities. For additional information, please contact the Office of WBLP at 704.922.6360 or 704.922.6212. Design, Print, and Mail is located in the basement of the Comer Engineering and Technology Building, room 17A. For hours of operation, see the front section of this document. Mailroom Services: Students may deposit mail for afternoon delivery. Stamps may also be purchased in the mailroom. Gaston College is implementing a print management system, PaperCut, as a green initiative and in an effort to reduce waste in all curriculum computer labs and libraries. Each semester, currently enrolled curriculum students will be credited $10.00 each semester for printing. Remaining balances at the end of each semester will not roll over. Color Printing is available in the Dallas, Kimbrell, and Lincoln Campus libraries. Students have the capability to add funds to their accounts if the amount allocated is exceeded via PayPal or coin-ops (available in each of the libraries). Public users and non-curriculum students have the capability of utilizing the library computer. For more information go to: www.gaston.edu/student-resources/technology-resources/student-technology-resources/faq-student/ or www.gaston.edu/wp-content/uploads/2015/01/StudentLoginInfoBookletWeb_1214.pdf. Although not required, student photo ID cards are made in the Student ID Office in the Comer Engineering Technology Building, room 116A (Dallas Campus), or the Lincoln Classroom Building, room 113 (Lincoln Campus), or the Kimbrell Classroom Building, room 116J (Kimbrell Campus). There is no charge for the initial ID. A replacement photo ID card is $10.00. Photo ID's are made for current curriculum students only. Students must provide the Student ID Office with proof of a current student class schedule. For further information, contact Campus Police and Security at 704.922.6480. Dallas Campus Bookstore is located on the first floor of the Myers Center on the main campus. Contact the Dallas Campus Bookstore at 704.922.6428. Lincoln Campus Bookstore is located on the second floor of the main Lincoln Campus Building. Contact the Lincoln Campus Bookstore at 704.748.1075. Kimbrell Campus Bookstore is located on the lower level of Harney Hall. Contact the Kimbrell Campus Bookstore at 704.825.6280. Gaston College Bookstore has a website for online textbook purchases, price checks, and upcoming events. Your new, used or rental textbook purchases are only a click away by going to www.gaston.bkstr.com. Textbooks can be sold back to the Bookstore during book buybacks held at the end of each semester during final exam week. Full refunds will be given during the first ten business days of the current semester or ten days from the date of purchase. You must provide proof of purchase when you are making returns. Returned textbooks must be unmarked and in re-saleable condition. Bundled textbooks cannot be unwrapped. Refunds are NOT given on textbooks purchased for a previous semester. No refunds are given on supplies, gifts, or non-textbook items. Full refunds will be granted upon request if the class has been dropped. Please contact the Student Records and Registration Office at 704-922-6232 to make the request. Vending machines are located in most buildings on all campuses to supply quick snack food and beverages. Expanded vending is available in the café area in the Myers Center. All vending is provided as a convenience to the campus community. If you encounter an equipment malfunction, you may report any vending concerns to the Bookstore. The Myers Center provides students with the opportunity to eat in an attractive, comfortable dining area with WiFi access; to purchase books, supplies, and other materials from the Bookstore; and to participate in College-sponsored events in the multi-purpose auditorium. The Myers Center also houses the offices of the Student Government Association, Student Affairs, Business Office, Sponsorship Office, and the Music Department. For information about our graduation rates, the median debt of students who completed a particular program of study, and other important information related to choosing a program of study, please visit our Gainful Employment website at www.gaston.edu/consumer-information/gainful-employment/. Gaston College is committed to providing prospective and current students, parents, and employees with information on a variety of topics as required by the Higher Education Opportunity Act of 2008. Please visit our Consumer Information webpage at www.gaston.edu/consumer-information/ for information about financial aid, price of attendance, refund policy, student diversity, disability services, Title IX, alcohol and other drug prevention program, Annual Security Report (ASR), and much more. 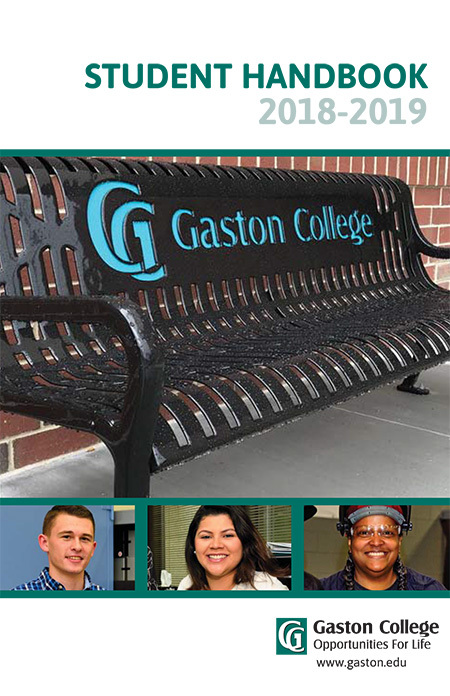 The Consumer Information webpage is a one-stop shop of important information about Gaston College. A paper copy of the information disclosed on the Consumer Information webpage is available upon request by contacting Student Affairs at 704.922.2383 or the Office of Financial Aid at 704-922-6227. Students are permitted up to two excused absences per academic year for religious observances. Excused absences do not relieve students from responsibility for any course requirements but do permit students to make up the missed exam(s) or assignment(s). The student is responsible for determining any exam(s) or assignment(s) that are due or given on the missed date(s) and for reaching a reasonable, non-punitive alternative with his/her instructor for the completion of course requirements. The student should be prepared to fulfill the requirements at a time determined by the instructor, other than the excused day. In order to make up the exam(s) or assignment(s) and have an excused absence, a "Notice of Accommodation for Religious Observances" form must be completed and submitted to the Dean's Office in the student's program of study by the end of the second week of classes in the term(s) in which the day(s) will be missed. Students may obtain this form from any Divisional Dean's Office. ACCESS provides bus service to the Gaston College Dallas Campus Monday through Friday. For more information call 704.866.3206.